The crossover dribble is a dribbling fundamental that allows you to move the ball to the opposite hand so as to protect it from the defender, or so that you can quickly change direction. Make the crossover quick and low to the floor. 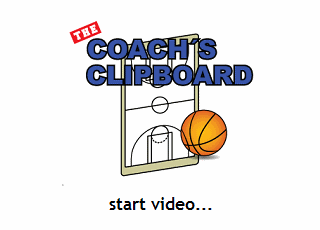 This clip shows a hesitation "swing" move combined with a crossover dribble. Click here to see a crossover move at full speed.